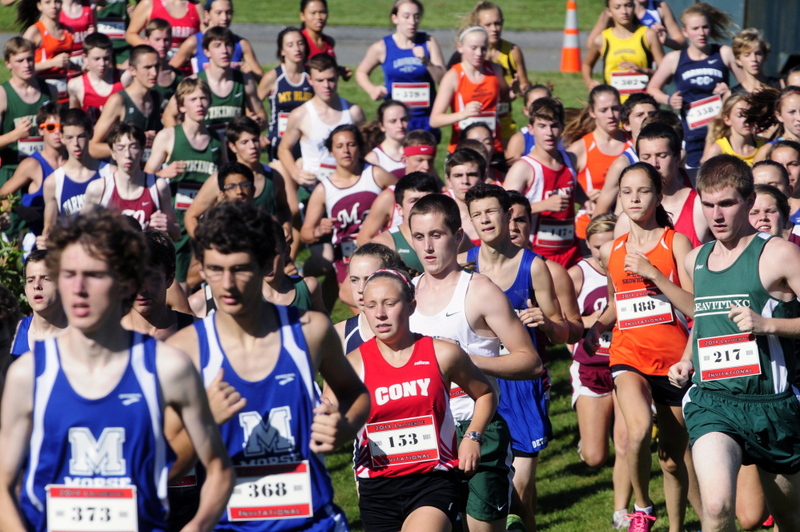 Cony High School played host to 470 runners from 23 schools for the preseason cross country invitational. 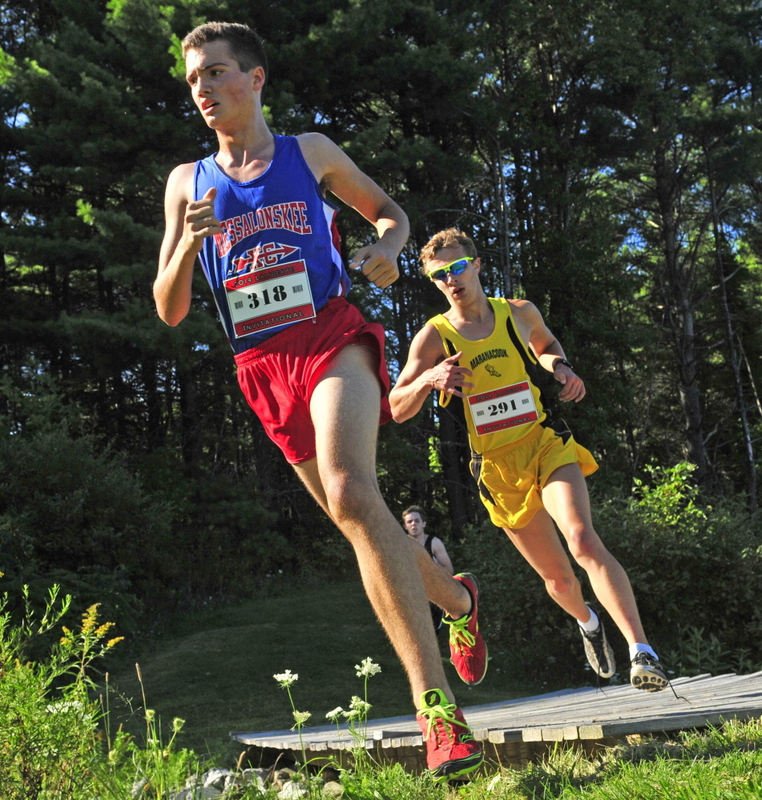 AUGUSTA — The 15th annual Scot Laliberte Invitational went from a laid-back, preseason run for fun to a test of speed in the final 100 yards between Lewiston’s Isaiah Harris and Mt. Blue’s Aaron Willingham. 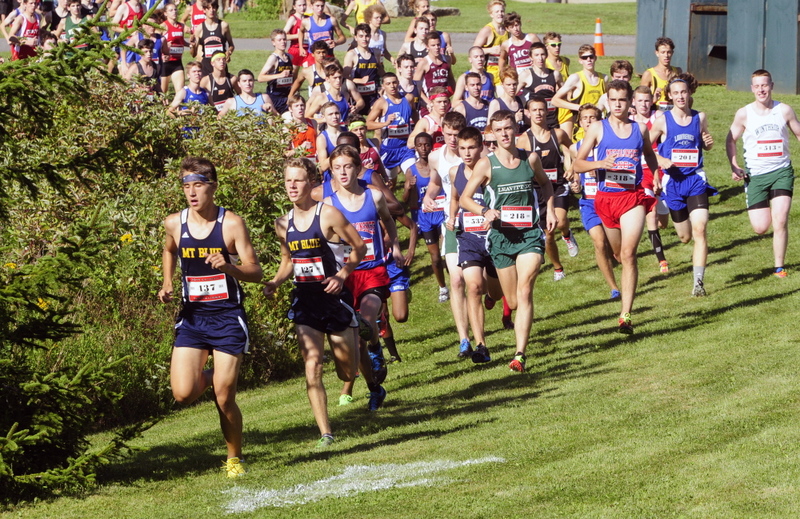 Harris closed on Willingham in the final 100 meters, then passed him in the final 30 to win the preseason race, which drew 470 runners from 23 schools to Cony High School on a cloudless Friday afternoon. Anne McKee of Kents Hill was the top female finisher, while Brunswick topped Mt. Blue for the team title. Harris, a highly-touted Division I track and field recruit, trailed Willingham throughout on the hilly course, which is shortened by .7 of a mile to 2.4 miles for the event. Harris finished in 13:17.76, little more than a half-second ahead of Willingham. Christopher Walfield of Morse was third. Dan Lesko of Mt. Blue (fourth), Winthrop’s Ben Allen (seventh), Ethan Harriman of Maranacook (ninth) and Messalonskee’s Owen Concaugh (10th) finished in the top 10. McKee, the runner up in last year’s race, won the girls’ race with just a little bit more breathing room, posting a time of 15:58.23, nearly four seconds ahead of runner-up Tessa Cassidy of Brunswick. 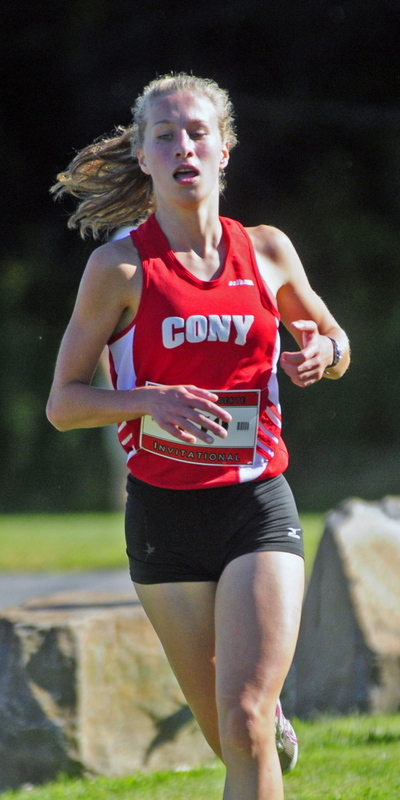 Cony’s Anne Guadalupi was third. Other local top 10 finishers were Sophia Oliveri of Gardiner (fourth), Mt. 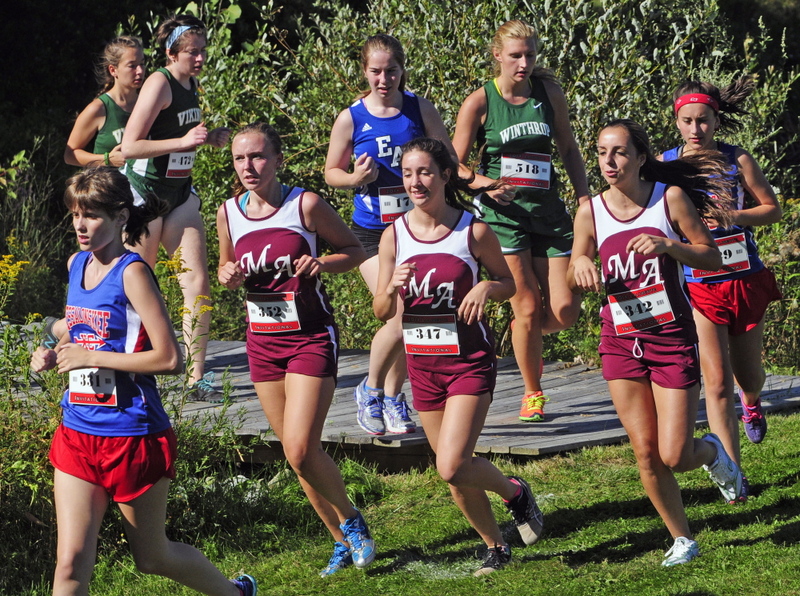 Blue’s Maggie Hickey (fifth), Hannah Despres of Maranacook (sixth) and JoAnn Bourgoin of Winslow (seventh). Mt. 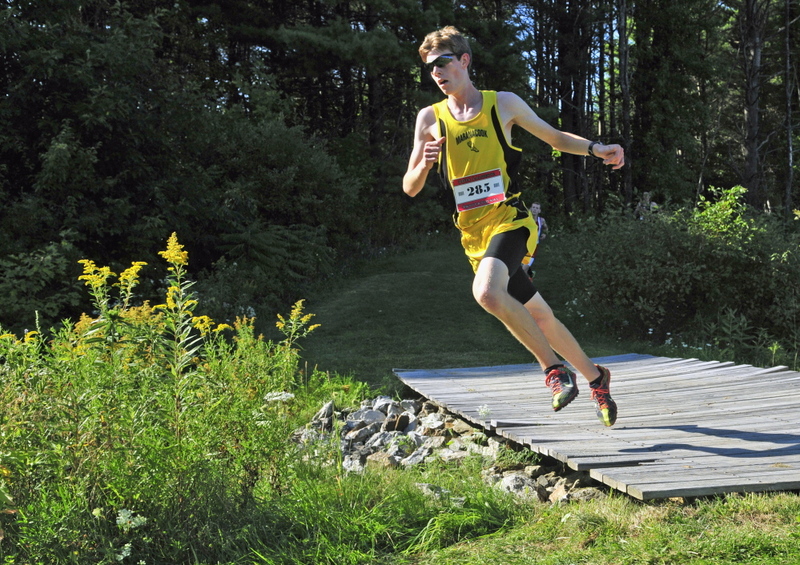 Blue posted the lowest boys’ team score, Yarmouth the lowest girls’ score. Brunswick finished 58 points ahead of Mt. Blue for the combined team title, followed by Yarmouth, Lewiston and Maranacook. Runners and coaches debate whether the race’s format makes it a valuable a sneak peak of the competition in 2014. That isn’t why it’s nearly quadrupled in size in 15 years, anyway. “It’s a great way to get everyone excited for the season to come,” Erskine Academy coach Scott Minzy said. Former Cony coach and Laliberte race director Tom Wells started the race in 2000 with 10 teams and 120 runners running in memory of former Cony standout Scot Laliberte, who died in an automobile accident on Mother’s Day in 2000. 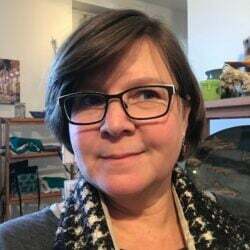 The race raises money for a $1,000 scholarship presented annually in Laliberte’s name.